SBK X is the newest iteration of the official videogame series accompanying the Superbike World Championship and based on the 2009 season. This time around the game not only features all the official tracks, drivers, motorcycles and sessions from the Superbike class but also introduces Supersport and Superstock 1000 into the mix. In addition the new Evolving Track feature is introduced. Thanks to this system, the track "rubbers" over time, revealing the best trajectories and allowing the player to enjoy better grip. The system also works for wet races. Here the track dries up faster where most of the riders drive, keeping the player on his toes with constantly changing circumstances. 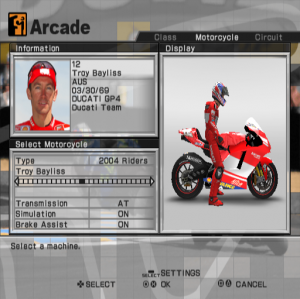 To enjoy the new features, the player has the choice between Arcade and Simulation Mode at the start of the game:Arcade Mode: This mode allows for wheelies and break off beyond the limits without the fear of falling off. 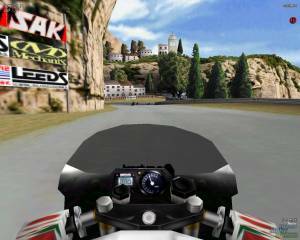 The core is the Story Mode in which the player starts out in the Superstock 1000, By gaining reputation points he'll slowly make his way up to the World Superbike Championship. Reputation points are earned by fulfilling the objects during each race. To that end, the races often don't start at the beginning. 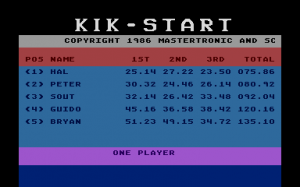 Instead the player e.g. has to make his way to the 10th place, starting from the 14th in only two rounds.